Since I got an new 2018 iPad Pro on launch day last week, I’ve used it exclusively. I haven’t touched my aging, decrepit Mac all week. I’ve used the iPad for work, and for play, so I’ve given it a pretty good workout. The short review is: It’s fantastic, and better in almost every way. The long review? There are still plenty of annoyances. For context, the only things I do on my Mac are writing — I like the big screen and clicky keyboard — and watching movies. All other computing is done on my iPad or iPhone. I use the iPad for music recording and production, research, reading, and the usual stuff like Twitter. And thanks to the Shortcuts app, I do a lot of heavier stuff, like image processing, and downloading video straight from the web. Which is to say, I’m a heavy iPad user, for both work and play. Up until last week I used a 1st-gen 12.9-inch iPad Pro, the same iPad I’ve owned and used for around three years. 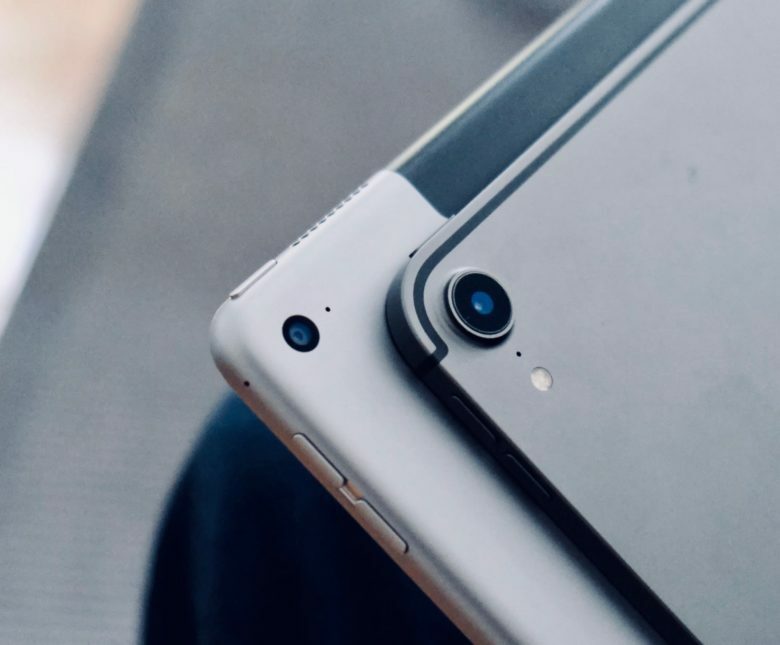 Apart from the obvious stuff, like the new Apple Pencil, and the compact, buttonless form, there are a few big differences between my old iPad and the new one. A great True Tone display. Decent Camera and LED flash. The biggest improvement for me is when I use the iPAd for reading, or for anything where I’m holding it in my hands or lap. The new compact body feels fantastic. Despite only being a little lighter on paper, it feels much lighter and smaller. The old tea-tray 12.9-inch iPad now seems comically huge and heavy. The new Pro’s screen is also a huge improvement. I understand that the smooth 120Hz refresh, and the True Tone sensor are pretty much the same as last year’s iPad Pro, but for me the difference is massive. I’d started to read more on the iPhone XS, just because of the improved screen. Now I’m back to the iPad. iPad Pro works as good s it looks. One odd side-effect of not having a home button is that you never know which way is up. In practice, this only makes a difference when you’re trying to find the volume or the sleep/wake button. But when you do need to adjust the volume, it’s a little confusing. On the other hand, the Control Center gesture (swipe down from top right) is so fast and smooth on this new iPad that I find myself preferring its volume slider over the physical buttons, if only because it’s always in the same spot. If Apple removed the volume buttons in a future update, I mightn’t even notice. Related to the volume are the speakers. They’re just better. The old Pro sounded pretty good. This one sounds much better. You’ll still want to use external speakers or headphones for music, but a lot of the time these speakers are good enough. Face ID seems like it was made for the iPad. On the iPhone, the thumb naturally falls to the Touch ID button. On the iPad, Touch ID has always been awkward. Face ID is a revelation. Now, the iPad just unlocks itself whenever you need it. And thanks to the extended range of the iPad’s Face ID (it works upside-down and sideways), it manages to spot your face from further away than the iPhone, and from more extreme angles. The iPhone never sees me when it’s laying on a desk. The iPad sees me quite often. 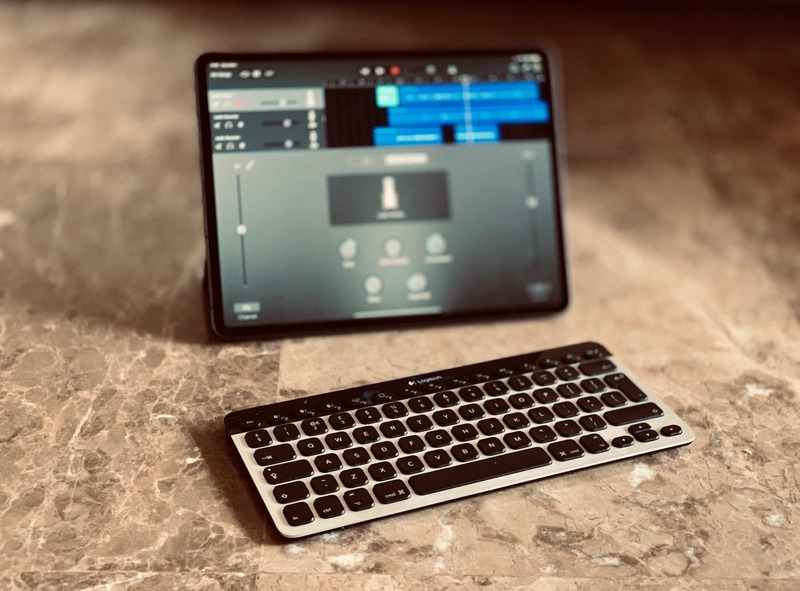 Used with a keyboard, Face ID is even better. Just tap a key to wake it, and it unlocks. It’s fantastic. Less fantastic is the behavior of the Smart Cover Auto Unlock. If you have the iPad set to unlock the iPad when you open the Smart Cover, then you still need to authenticate. This was a royal pain with Touch ID, to the point that I disabled it for iPad unlocking years ago. And it’s still a pain now. Here’s what happens: You open the cover, and you see the lock screen. Face ID scans your face and unlocks the iPad, but you still have to swipe to dismiss the lock screen. What should happen is that you open the cover, Face ID authenticates you, and then dismisses the lock screen automatically. Oh, and one more thing on Face ID. If you buy an app, and need to confirm the purchase with Face ID, an on-screen graphic shows you where the power button is, so you can double-click it without having to hunt it down first. Tap to wake is good on the iPhone, but great on an iPad. If the iPad is on a stand, you can just tap the screen, and you’re off. This is especially useful on the no-button iPad, because without it, you’d always be hunting for the sleep/wake button. App switching and launching, via keyboard or gesture, is really fast. Apps run faster. Tap the About section in the Settings app and the info appears instantly, instead of taking a few seconds, for example. When using a keyboard, if you type ⌘-Space to bring up search, and then type your search, the iPad no longer drops the first letter of your search. Well, not always. Shortcuts run a lot faster. Split view is faster, but apps still have to reload. Did I mention, it’s fast? I’ll elaborate on Shortcuts, because so far it’s been the only stress test I’ve used (my USB-C hub hasn’t arrived yet, so I can’t test my audio apps properly). The first time I ran a shortcut to bulk-convert screenshots to JPG, and resized them to fit our WordPress, it ran so fast I thought it had failed. It’s crazy fast. 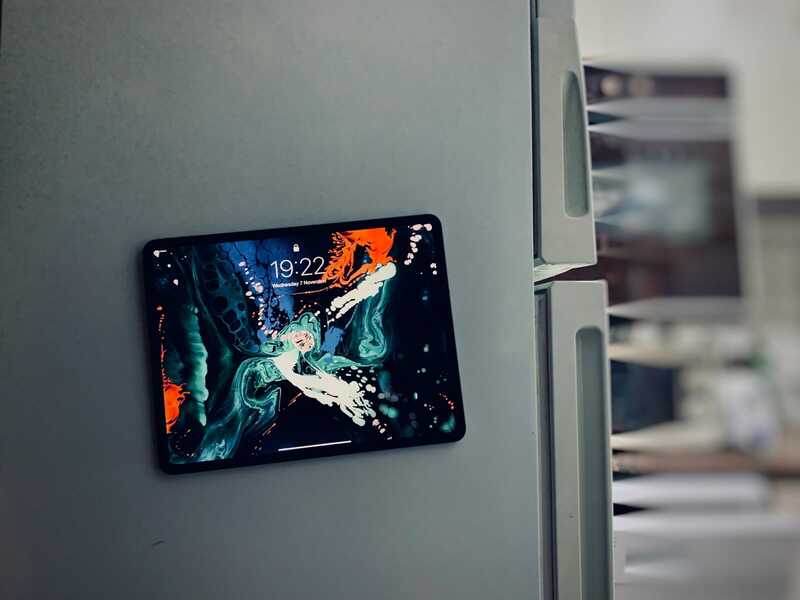 For everyday use, the speed might seem less important, but the 2018 iPad Pro feels nice and snappy. Not everything is better. Taking screenshots is awkward (you have to press the power button and volume-up simultaneously); most apps are inset into a black border (they require the developers to update them to work full-screen), and I can’t use my old Apple Pencil. Also, the new USB-C charger is a downgrade. It outputs 18-Watts for faster charging, but it also ditches the removable duck head of the old charger. That means you can’t add an extension cable to the power brick. Combined with the short USB-C cable in the box, and currently I can’t charge my iPad at my desk as I use it. Speaking of USB-C, the supplied cable is really only for power. It’ll do data transfer, but only at USB 2.0 speeds. One tip. If you have a USB-A (the big old standard USB) to USB-C cable, you can plug the iPad into any old USB port to charge it. That includes your old iPad power brick. It’s just not very fast. Also annoying is the lack of a headphone jack. The iFixit teardown shows why — there’s no space in there thanks to all the screen circuitry being moved from the old bezel area — but it’s still a pain. Especially as I can’t use my iPhone’s Lightning to USB-C dongle. Speaking of USB-C, I no longer hate it. I still think that Lightning is the superior connector, but Apple’s USB-C connection is solid, and clicks into place. It’s not loose and wobbly like other USB-C devices. I haven’t tested USB-C at all yet, but the connector at least is solid, and it appears that the range of hubs and compatible gadgets is pretty huge, especially when compared to Lightning. This is the best iPad ever. It might be the best portable computer ever. I already loved the iPad, but the new 12.9-inch Pro is better in almost every way. While I might not need the speed of the A12X processor all the time, the 2018 iPad Pro has a bunch of little (and not so little) improvements that make it a joy to use. To some extent, I take back my initial impression that most people don’t need such a pro-level machine. 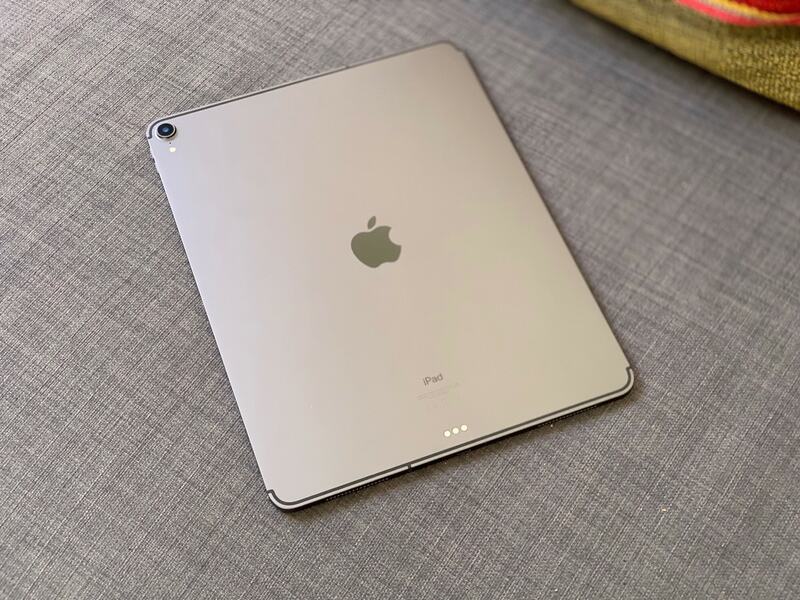 The new compact, solid body, the amazing screen, the Face ID, and the upgraded speakers are improvements that can be enjoyed by anyone who picks this thing up, and the device itself will be good for another five years — my old three-year-old iPad Pro is still more than capable. But it’s not cheap. If you are on a budget, and you can wait for the new hardware design to trickle down to the low-end iPads, then do so. But if you have the money, and want a taste of the future, then grab it today. And if you are a pro user? Oh man. Why haven’t you ordered one already?